We love this kway chap ... why ? You can find all the internal organs of a piggy right in this stall. For us ... it's the springy stringy thingy that bring us back here again and again. 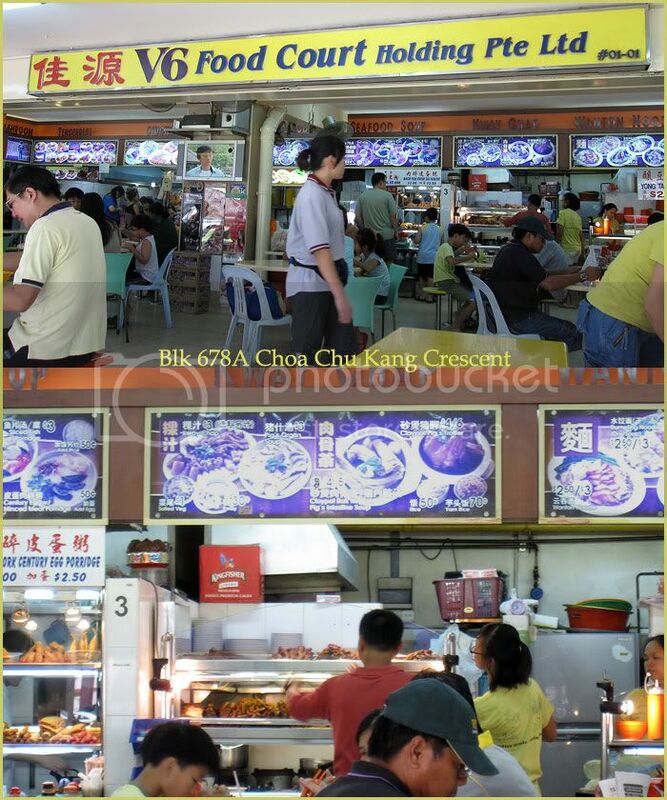 I remembered our first meal there ... $15 kway chap for two ! For kopi tiam standard ... $15 is pretty alot n "expensive"
It is simply worth the dollar servings ! It's a SPRINGY FEAST for us again. We broke our last record of $19. when there is only me and him. This time it cost us $26 ! The lady who served us the food gotten a shock and re-confirm again if she has heard wrongly. It happens every time here for us. lol ! Ok .. now back to the food. The lor chap here is really good. 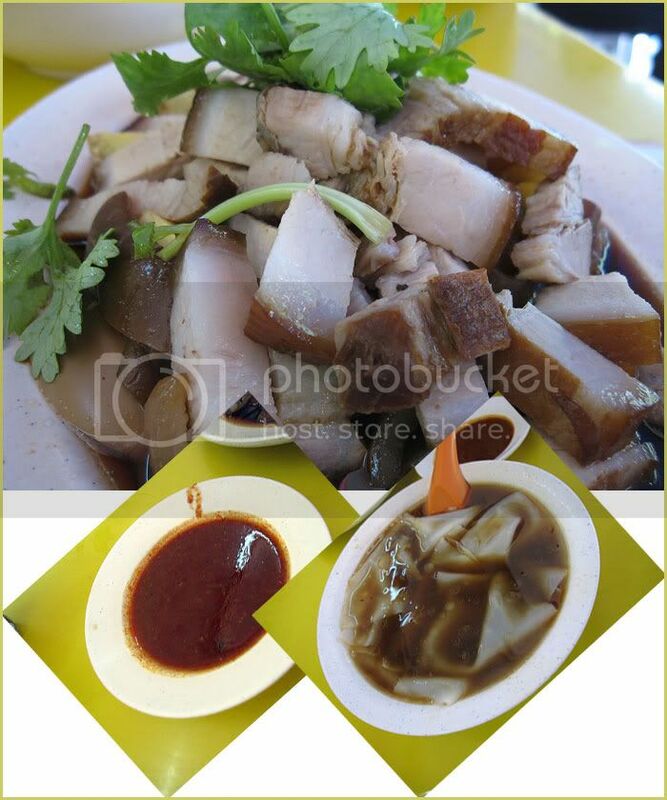 a combo of lor chap and the cloudy water they use to cook the "kway" with. 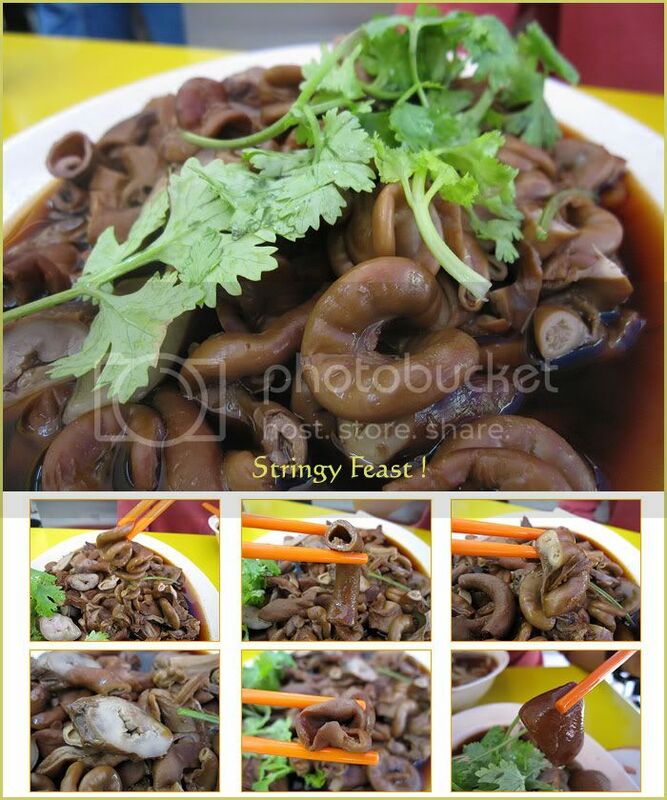 The intestines has the right texture and not too black and salty. We can find almost every types of pig's intestines here. The pig's skin is chewy with a nice texture ... not overly soft. 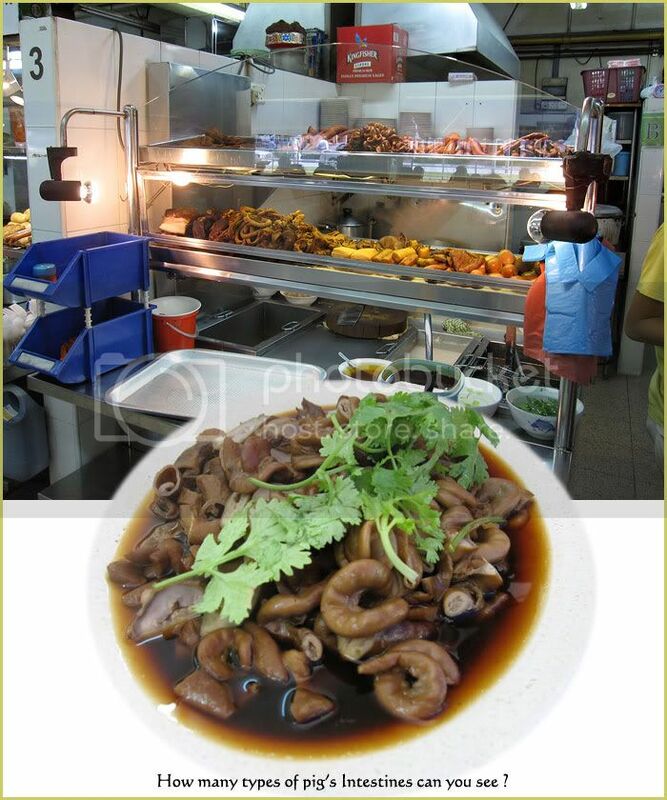 We normally order plenty of intestines with some pig's skin, eggs and some lor bak (braised pork). You'll be spoilt for choice here. The chilli sauce serves here is different from the usual "sng sng" ( sour ) chilli sauce served with kway chap. It has a very nice taste, not overly sour at all and very very spicy. We love to dip the tubes into the chilli sauce ... o so yummy ! Simon like the taste here coz they don't use too much garlic. He hates food with strong garlic smell. I was wondering if we are able to finish. But ... we did !